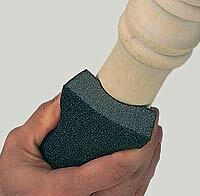 Sanding is a simple process. Although simple it can take awhile. Just be patient, it will pay off in the end. This chart below helped me immensely when I began sanding. 1. I started sanding the wood with 100 grit sandpaper, because I had already chemically stripped the wood. This leveled the surface. 2. After the surface was leveled I sanded the surface using a 220 grit sandpaper. 3. I finished sanding using a very fine 400 grit sandpaper. It took a couple of hours to complete the sanding procedure. I made sure and ran my hands along each surface to ensure it felt bare and that no varnish was left behind. *** ALWAYS sand in the direction of the grain!!!!!! 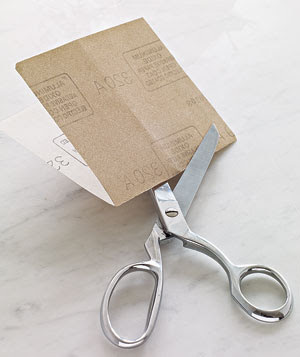 *** Cut the sand paper sheets into fourths or even smaller pieces depending on the surface you are sanding. *** Use a sanding sponge!!!! These wear down quickly, but you can recycle it by simply wrapping your cut pieces of sand paper around it. I love my little sanding sponge. It made the job go by quickly and with less effort!!! If you missed the first step of stripping, click "HERE"
Wooden furniture often creates an elegant and personal finish to any room and, due to its different qualities, can carry out a number of functions.